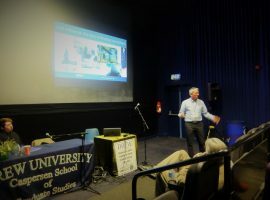 Peter Hudson at the International School of Lausanne for listening skills training. 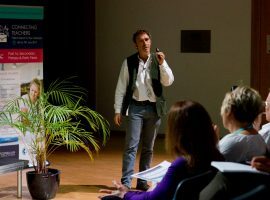 Peter Hudson of Consilium Education and the Motivated Learning Trust recently spent three days at the International School of Lausanne at the start of the new school year. 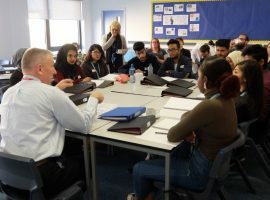 ISL is going through a period of growth in student numbers and is engaged in the development of a new Year Leader system in the secondary school. 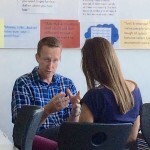 Peter was asked to work with the newly appointed leaders in an intense course designed to give participants a range of new skills that will empower staff to support young people in the context of the school’s growth. Peter also conducted a session to demonstrate the value of listening to the whole secondary school staff. “There’s more to listening than just listening” – a frequent observation at the end of one of Peter’s courses. Others remarked on the way the course is approached by Peter, who always actively tries to demonstrate the skills he wishes to convey to others. We would like to thank the International School of Lausanne and their staff for the warm welcome extended to Peter and would like to pass on all our good wishes at the start of the new school year.